G-One is a project i started yesterday but feel so strongly about i felt the need to post a devlog directly. Its a futuristic racing game drawing from F-Zero and Wipeout. Latest update: Started thinking about local multiplayer. Latest gif: Played around more with slerping the rotations and adding back my original camera. Worked out pretty fine. D12> Have not worked alot since D1 but changed overall controlling of "car" to be using unitys build in physics instead of own. Also added "jumpers" that throw you into the air when you enter. Those grey transparent blocks are "slowdowns" that will slow your ship by 50% and decrease your acc by the same amount. Also a reused healthbar as speedometer for easy check of speed changes. The handling on there looks very well refined given how well you can take a corner at high speed. Looks cool! 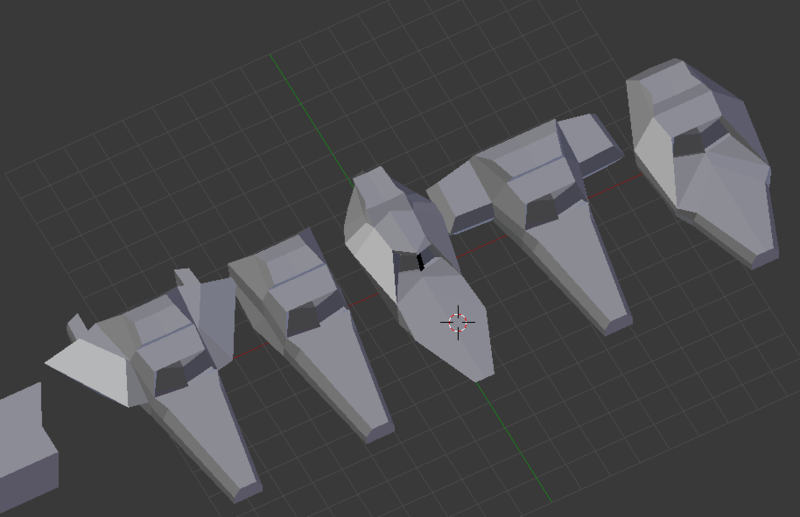 Today and yesterday was mostly about building trackpieces in Blender ( which i havent touched i a while) so now there is a set of standard ground pieces, At what i think is the correct size and shape. I think the base size and scale feels right atleast. General player controller refactor, should now be simple to add multiplayer. Evolutionary Algo that finishes the level by itself, maybe with replays as dna. Gif of me racing my earlier run saved to disk. 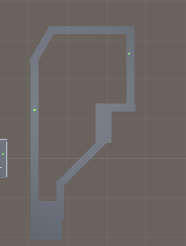 Update: Playing around with possibility of non planar terrain, or at least some change in slope. Currently just setting the cars up vector to the normal below it and apply gravity in same direction as face normal and it works kinda nice. No interpolation between angles make it very choppy so had to use follow camera to not get a severe headache while playing around. Built some ships. Got tired of my cylinder-pill-box. Realized after that that the cam was to static to actually make anything more interesting at this moment haha. Finally got around and added the start of multiplayer splitscreen, minor changes to the camera calls for refactor of fov animation when boosting and so on. Nice! looking forward to seeing what it looks like at the end. You also gave me an idea for my game. So thank you.